Доктор технических наук Ганс Клемм сделал успешную карьеру конструктора легких самолетов. Вскоре после окончания Первой мировой войны он пришел на "Daimler", а в 1926 году основал в Бёблингене близ Штутгарта собственную фирму "Klemm Leichtflugzeugbau GmbH". Первым ДальшеMore>>> серийным изделием новой фирмы стал Klemm L 25, выпускавшийся в течение нескольких лет (всего построено более 600 самолетов). В исходном варианте этот двухместный низкоплан оснащался двухцилиндровым мотором Mercedes-Benz мощностью 20 л. с., но на последующих вариантах, включая L 25 1а, стояли 40-сильные моторы Salmson AD-9. Известны следующие модели: гидросамолет WL 25 1a и трехместный L 25 1b с закрытой передней кабиной для двух человек. Линию L 25 продолжили такие самолеты, как L 26a облегченный и усиленный; L 27 с увеличенной передней кабиной; акробатический L 28 с мотором Siemens Sh 14a мощностью 150 л.с. ; а также L 30, похожий на L 25/L 26, но предназначенный для сборки непосредственно в аэроклубах. 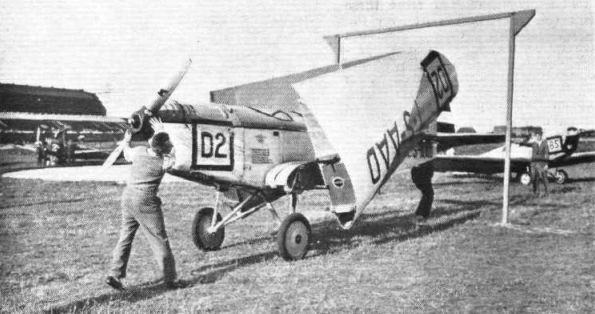 Generally of similar design and construction, the two light 'planes exhibited by Leichtflugzeugbau Klemm of Boblingen are both low-wing monoplanes mainly of wood construction, but whereas the type L.25 is a landplane with 20-h.p. Mercedes engine, the type L.25 W is a seaplane fitted with the little nine-cylinder Salmson radial air-cooled engine. The landplane is already familiar to readers of FLIGHT, having been described and illustrated last year when it paid a visit to Croydon, and the seaplane is, therefore, perhaps the more interesting of the two. It might be mentioned in connection with the landplane, however, that the fuselage is now entirely ply-wood covered. 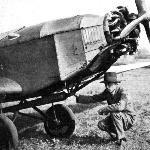 As long ago as 1919 the first Klemm-Daimler light 'plane was produced by Herr Regierungsbaumeister Hans Klemm at the Daimler works at Sindelfingen. This machine flew very well with a motor-cycle engine of only 12 h.p. The fact that the seaplane type shown at Berlin, the type L.25 W, has succeeded in getting "unstuck" with three on board indicates that the efficiency of the Klemm designs is very high. The machine is not, of course, designed to carry three normally, but on the occasion in question, M. Magnet of the Salmson company provided the "overload" (which was a very substantial one, M. Magnet probably weighing some 15 stone!). Apart from the differences in undercarriage, and the small changes in the nose occasioned by the different engines, the two types exhibited have the same characteristics, i.e., an all-wood fuselage, ply-wood covered, and low cantilever monoplane wings, also covered with ply-wood. Folding is not such a simple operation as on British light 'planes, as each wing-half has to be detached from the fuselage and, in order to get the lower wing surface against the fuselage, the port wing has to be carried over to the starboard side and vice versa. A minor change is to be noted in the fuselage decking. Previously this was of the sharp-ridge "roof" type, but on both machines exhibited this has been altered to a slightly curved deck fairing more like those found on British light 'planes. Both machines are well made and well finished, and both have a fairly large luggage compartment aft of the rear cockpit. The landplane is exhibited with this space occupied by a well-stocked picnic basket. 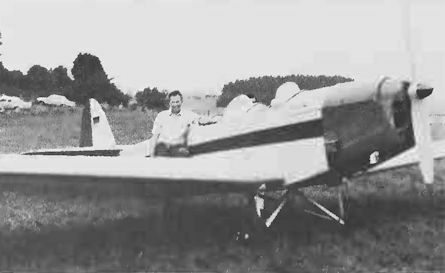 It is interesting to learn that more than 100 of the Klemm light 'planes have now been built, and sold partly in Germany and partly outside. No information is available concerning the dimensions of the two Klemm monoplanes, but following are the weights and performances of the L.25 landplane: tare weight, 265 kg. (583 lbs. ); permissible load, 215 kg. (473 lbs. ); total loaded weight, 480 kg. (1,056 lbs.). Maximum speed, 115 km. h. (71-5 m.p.h. ); landing speed, 35-40 km./h. (22-25 m.p.h. ), presumably according to whether the machine carries one or two occupants. The range is given as 700-1,500 km. (435-930 miles), the greater figure presumably representing the range when no passenger is carried and the weight thus saved used for carrying extra fuel. With full load the ceiling is given as 4,000 m. (13,150 ft.), and with pilot only as 6,000 m. (19,700 ft.). The climb to 1,000 m. (3,280 ft.) is carried out in 14 mins. with two on board, and in 9 mins. with pilot only. The petrol consumption is given as 6-7 litres (1-3 - 1-5 gallons) per hour. Assuming that the machine cruises at 60 m.p.h., this gives a mileage of approximately 40-45 m.p.g. The Klemm L.25 W seaplane with Salmson engine has a tare weight of 350 kg. (770 lbs. ), and the permissible load is 250 kg. (550 lbs. ), bringing the total loaded weight up to 600 kg. (1,320 lbs.). The maximum speed is given as 130 km./h. (81 m.p.h. ), and the landing speed as 50 km./h. (31 m.p.h.). The range as single-seater and two-seater is 450-1,000 km. (260-620 miles), and the petrol consumption, 10-12 litres (2-2 - 2-64 gallons) per hour. The ceiling is 3,500 m. (11,500 ft.) with full load, and 5,000 m. (16,400 ft.) with pilot only. The machine is stated to get off the water in 18 seconds, and to climb to 1,000 m. (3,280 ft.) in 15 mins. with full load and in 8 mins. with pilot only. 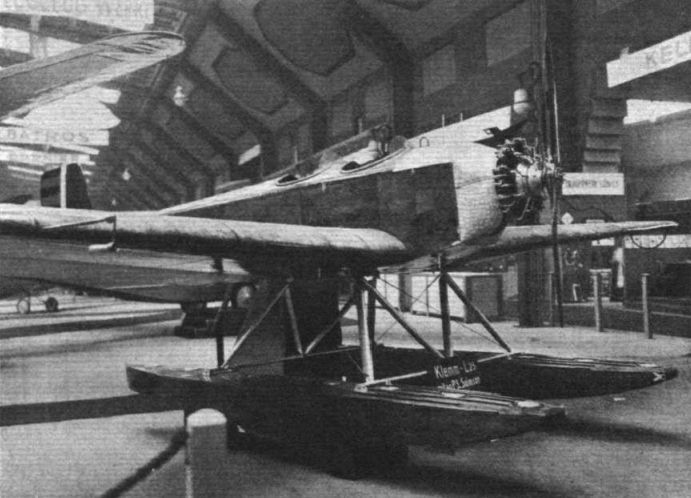 The floats of the L.25 W are of wood construction, and judging from photographs, the machine is very "clean" on the water. 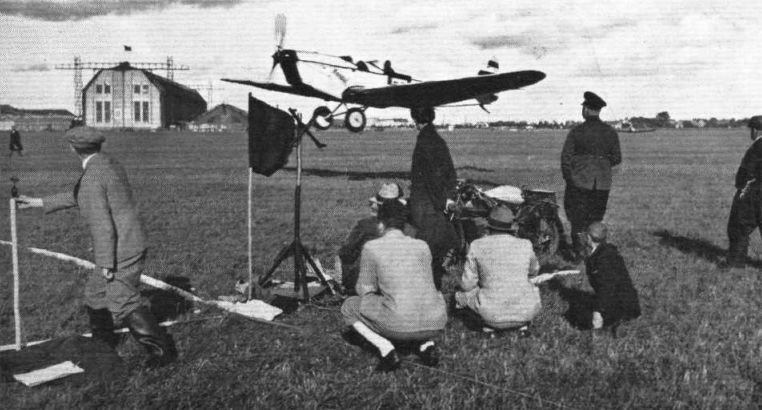 The L.25 monoplane of the Klemm Light 'Plane Works is being exhibited on the stand of S. T. Lea, who is sole concessionaire for the British Empire. The machine is already well known in this country, having visited a number of light 'plane meetings and clubs throughout the country. It is fitted with the 40 h.p. 9-cylinder Salmson engine. 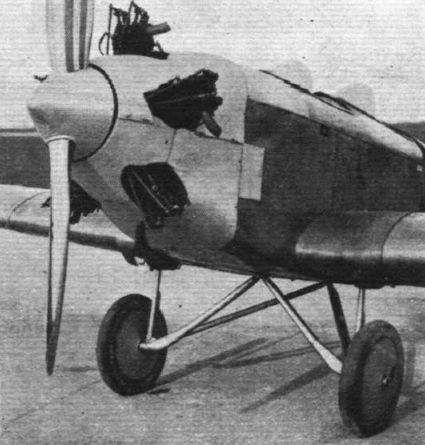 The L.25 is a two-seater dual control light 'plane, of the low-wing monoplane type. Both fuselage and wings are plywood-covered, the wings from rear spar to trailing edge being, however, fabric covered. 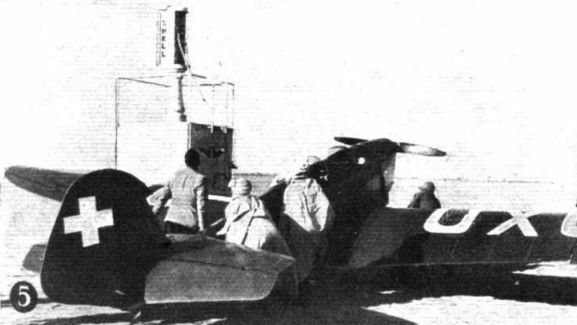 The wing can be dismantled from the fuselage as a unit. The seating accommodation is the usual, with two cockpits in tandem. 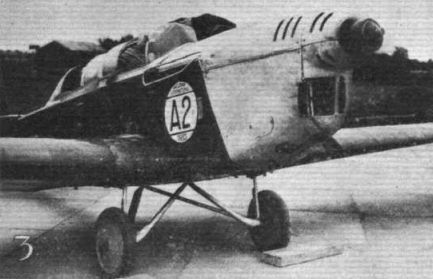 The undercarriage is of the split type. With a petrol capacity of 22 gallons, the range of the Klemm L.25 is approximately 600 miles. The tare weight of the L.25 is 600 lbs., and the disposable load 400 lbs., giving a gross weight of 1,000 lbs. The top speed is 85 m.p.h. and the landing speed about 30 m.p.h. The dimensions are: Length, 23 ft. 8 in. ; wing span, 42 ft. 8 in. ; wing area, 215 sq. ft. 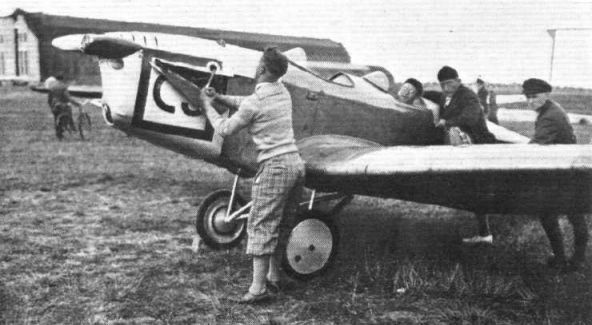 THE Klemm L.25 two-seater light monoplane is being handled in this country by S. T. Lea, of 141, New Bond Street, London, W.I. It is, of course, a German-made machine, and comes from the Leichtflugzeugbau Klemm G.m.b.H. Boblingen, Wurtemburg. It was originally designed as a very light machine with the 40-h.p. Salmson radial engine, and in this form has achieved a large number of notable performances. Many machines have been sold in this country with this little engine and its performance with two persons is astonishing. Our upper photo shows this type. Lately, however, a slightly larger model has been made to take the 65/82-h.p. Siemens engine, or the 85/95-h.p. "Cirrus III" engine. A three-seater version with this latter engine is now in this country, and is said to have a very good performance indeed. It is shown below. Arrangements are now being made to manufacture the "Klemm" in this country, for which purpose a company has been formed, and factory sites are being considered. As a low-wing monoplane, the "Klemm" offers an exceptional view, both for the pilot and the passenger, and it is a very comfortable machine. The low wing loading and consequent low landing speed rather tend to make it not quite ideal on a very bumpy day, but under normal conditions it is extremely easy to fly. The whole machine is of ply-wood construction, so that there is never any truing up to be done. The wings are quickly detachable by means of vertical pins at the roots, and when detached, they may be stowed in sockets provided so that they lie vertically against the sides of the fuselage. This is claimed as a very simple operation, and one that can be done in a very few minutes, and it certainly has the advantage that with the wings in this position, the machine can be stowed in a very narrow shed. 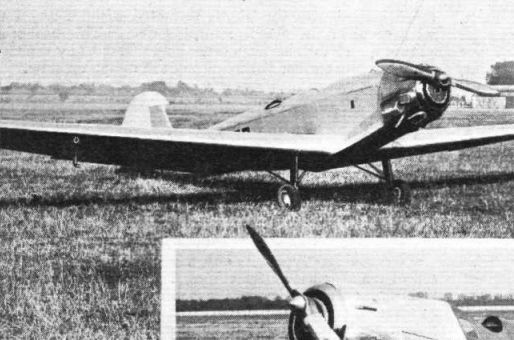 The "Klemm" is the best known of the many Continental-built light planes, and has proved itself in every way a private-owner's machine. The ply-wood construction ensures that the machine is sturdy, and with even the tail surfaces thus covered, there is very little that can be damaged by inquisitive spectators. Its large span makes it an efficient flying machine with low induced drag, and it is quite controllable below the stalling point, so that private owners need have no fear of stalling inadvertently. AN aircraft which, although of foreign design and make, has already sold in quite considerable numbers over here is the Klemm. We have described this machine from time to time and have illustrated it with many and varied engines fitted to it. One of the latest forms is that with the Hirth engine. We recently took the opportunity of trying this machine for ourselves, and found it to be extremely fascinating. The motor could hardly be smoother, and is apparently exceptionally economical,, for Mr. Rogers, who demonstrates Klemm aeroplanes for S. T. Lea, Ltd., of 141, New Bond Street, W.I, tells us that the fuel consumption is only three gallons per hour, while the oil consumption is at present almost negligible. After trying this machine we cannot help feeling that there is a very definite future for machines of similar type built in this country. Possibly the plans which have been laid for a company to manufacture Klemms themselves, or else the new de Havilland "Swallow" will meet the demand, for a demand there certainly is. The Klemm is the type of aircraft which immediately inspires anyone with confidence, and we imagine that for club flying it will be hard to beat. For such a purpose several features will, of course, have to be altered. 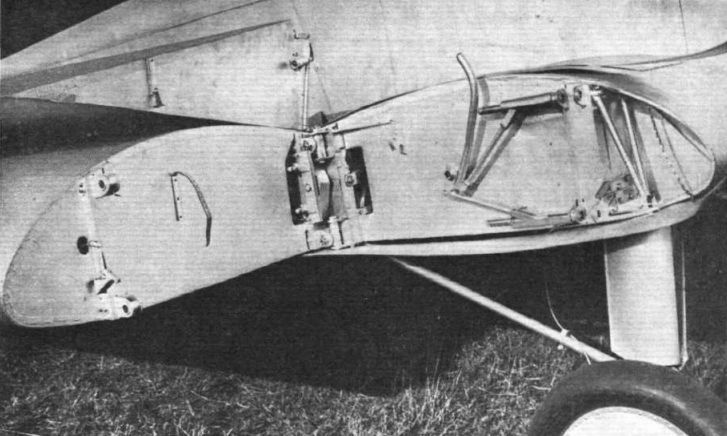 For example, the undercarriage looks somewhat too light to stand up to the hard wear of teaching people to fly, but the flying qualities of the machine itself cannot but inspire confidence in any beginner, particularly if those beginners are, as is already the case at many places, glider pilots who have now turned their attention to power-driven aircraft. 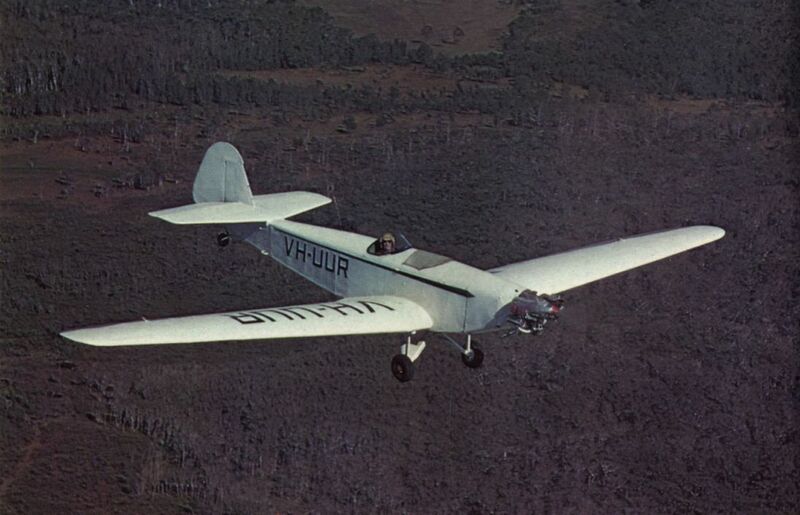 The Klemm is very like a glider to fly, and, due to its efficiency, has an exceptionally flat gliding angle. It is also almost impossible to stall in a dangerous manner, and, even with the stick pulled right back, does nothing more than sink to an even keel and picks up speed immediately. It is naturally very different from such machines as the conventional single-bay biplane, and has, therefore, to be flown differently, but once those small differences have been mastered, it is one of the simplest and least tiring machines of any. Another point in its favour is that the boxed plywood low cantilever wing is an excellent safety factor in a crash. One has only to look at that accident at Croydon recently, when a Klemm of the B.A.T. 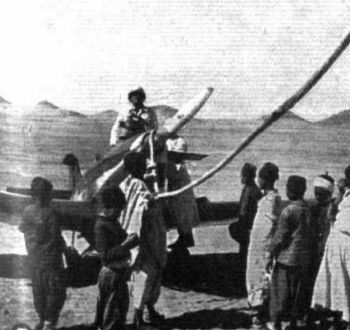 Co., Ltd., went up with two Press photographers and when some 60 ft.,off the ground the pilot discovered that the ailerons were either not connected up or else connected up the wrong way, we forget for the moment exactly which it was. However, the machine crashed from that height and completely demolished both wings and the undercarriage, and, of course, the engine and front part of the fuselage, but the occupants were not hurt at all! Such a crash is one which, of course, could have been avoided, for most pilots invariably try their controls before taking off, but on this occasion the pilot in question appears to have forgotten this simple precaution. There is a further interesting development in connection with the Klemm, and that is a machine even lighter than the model which is fitted with the 50-h.p. Salmson engine. This was, we understand, built in the first place as a machine which Herr Klemm's son, age 9, could fly round the aerodrome with safety. It is a similar type of aircraft, but has a wing span of some 54 ft., resulting in a low-landing speed of about 8 m.p.h. and a cruising speed of about 35 m.p.h. The engine is at present a small 2 cylinder of the motor-cycle type. The development which is expected is that an aircraft of this type will have some form of retracting gear for the propeller so that glider pilots may rise under their own power to suitable cumulus clouds, then retract their propeller and proceed to soar, and if, as it is hoped, this machine sells at considerably less than ?200 there is no doubt that its appeal will be very strong indeed to glider pilots and clubs and those who want something slow, safe and easy to fly. In conclusion, there is one fallacy we should like to point out, and that is that Klemms are invariably slow. This has come about from the fact that the Klemm was first marketed with the little 50-h.p. Salmson engine. Naturally this model is slow, but its lack of speed also makes it extremely safe, and therefore has its appeal to a large number of people. Latterly, however, engines of various powers have been fitted, and the latest is one with a Gipsy III engine and somewhat clipped wings, resulting in cruising speed of somewhere about 112 m.p.h. There are also rumours of a mail carrier which has the 200-h.p. inverted Argus engine, with a cruising speed of over 130 m.p.h. 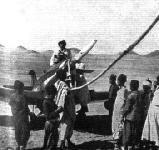 The existing three-seater Klemm with the inverted Hermes engine is already being used in Africa for mail carrying purposes, and seems extremely efficient for the job, having a fuel capacity of over 40 gall, and a payload of over 1,000 lb. KLEMM aircraft have consistently been seen in this country fitted with many different kinds of engines. When they first appeared the little 2 cyl. 30 h.p. Daimler engine was fitted, after which the 40 h.p. 9 cyl. 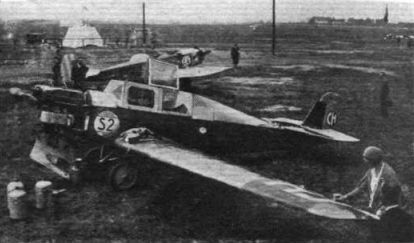 French Salmson was used, while other versions have often been seen with 80 h.p. Siemens, 95 h.p. 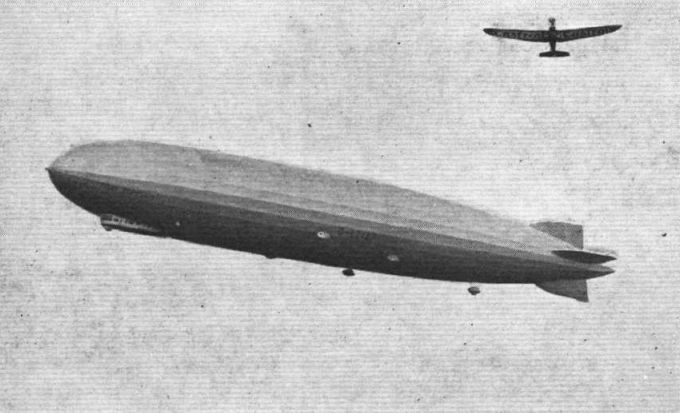 Cirrus III, as well as the larger Hermes, Gipsy II, and Gipsy III. The latest combination, however, is that which has been effected by the Klemm Works to the order of Mr. A. B. Gibbons, and consists of a standard Klemm with the English built 7 cyl. 75/80 h.p. Pobjoy engine. We have always felt that this was a combination which would provide a really fine aircraft for the private owner, and this appears to be the case. 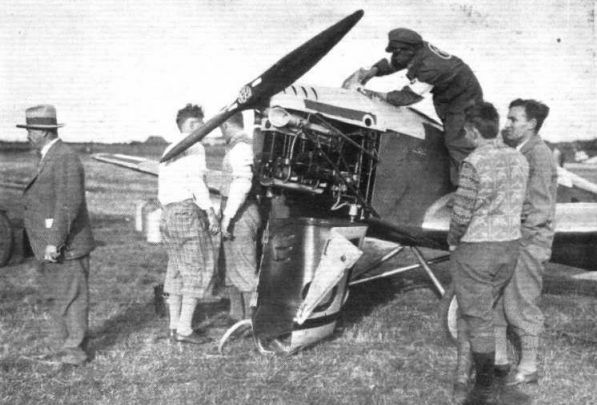 The Pobjoy engine, being geared, allows the use of an airscrew of high efficiency and large diameter, and moreover one which "bites" immediately the throttle is open, thereby assisting the take-off very materially. In a recent demonstration of this machine Mr. Gibbons took off from the tarmac in front of the service hangars at Stag Lane, a feat which he was allowed to do through the courtesy of the London Aero Club and De Havilland Aircraft, Ltd. On this occasion the wind was nearly directly towards the hangars, and as the hangar doors were shut there was a strong down-draught on the machine for quite a considerable distance of the take-off run. Unfortunately the wheel brakes were not in the best of order and did not allow Mr. Gibbons to rev. up the engine to any great extent before starting his take-off run. This defect, however, really enhanced the value of the demonstration, for it showed very forcibly that when the brakes are in order a take-off should be possible from the smallest of fields. Owing to the creeping of these brakes on this occasion accurate measurements were not possible, but our rough ones gave a distance of between 15 and 17 yds. 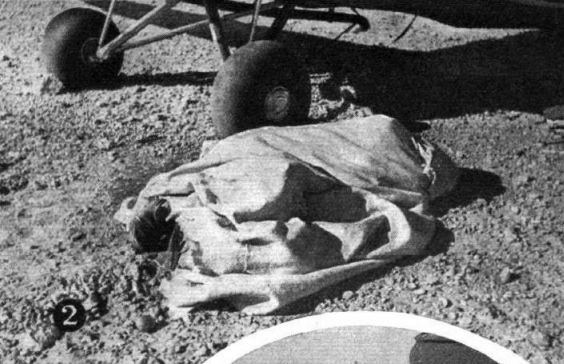 from the start until the wheels were clear, which means that Mr. Gibbons was actually flying before he reached the end of the tarmac. Take-off run (using wheel brakes while revving up the engine), solo, 9-15 yd. ; loaded (5 hr. fuel, passenger and luggage), 25 yd. Climb to 2,380 ft.; light, 3 1/2 min. ; loaded, 4 1/2 min. Climb to 19,000 ft.; loaded, 46 min. Estimated ceiling, 21,000 ft. Cruising speed at 1,500 ft., 3,000 r.p.m. ; 97 m.p.h. Top speed, 3,400 r.p.m. ; 108 m.p.h. 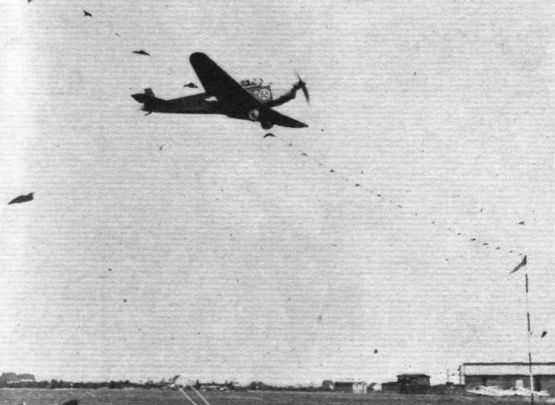 Landing speed, 23-25 m.p.h. Weights: machine empty, 750 lb. ; loaded, 1,480 lb. 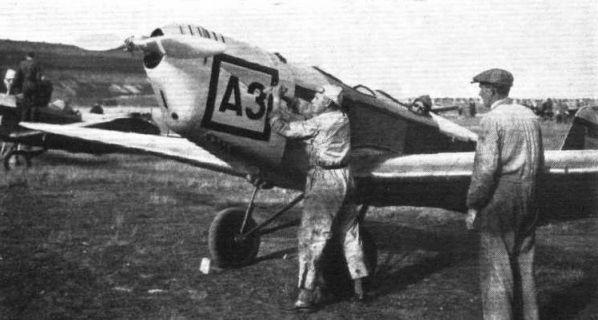 ; aerobatic loading (class S.4.K), 1,435 lb. THE KLEMM-SALMSON LIGHT 'PLANE: This machine is exhibited on the stand of S. T. Lea. 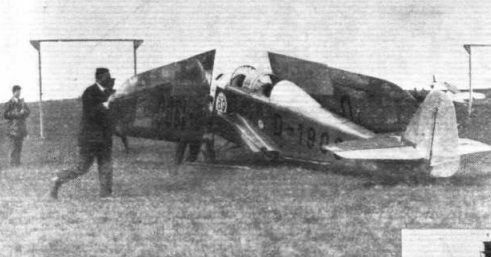 The earliest example of the G-AA' series still flying is G-AAHW, the 1929 two-seat Klemm L.25a-1 (c n. 1152) owned by G. R. Lush of Hastings. Engine is a Salmson AD9 radial. 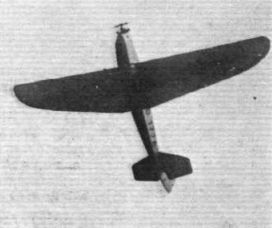 The little Klemm monoplane with Salmson engine was much in evidence, and is here seen flying low, piloted by Flying Officer Alliott. Later in the day one of the "Moths" charged the Klemm, which was somewhat "bent." 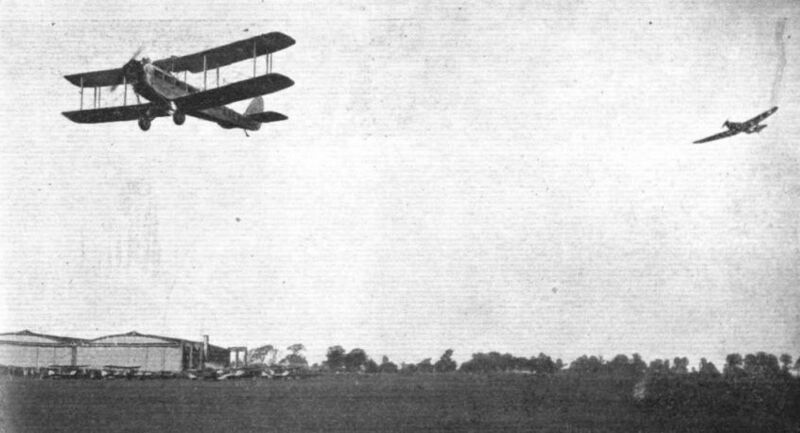 NORWICH AIR DISPLAY: The Klemm (40-h.p. Salmson) light monoplane. 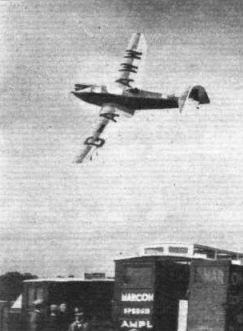 Mr. John Rogers gives a display of slow flying on the Salmson-engined Klemm monoplane. 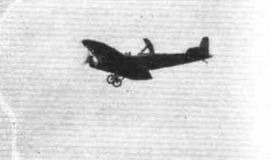 Mr. John Tranum astride the Klemm monoplane in flight. 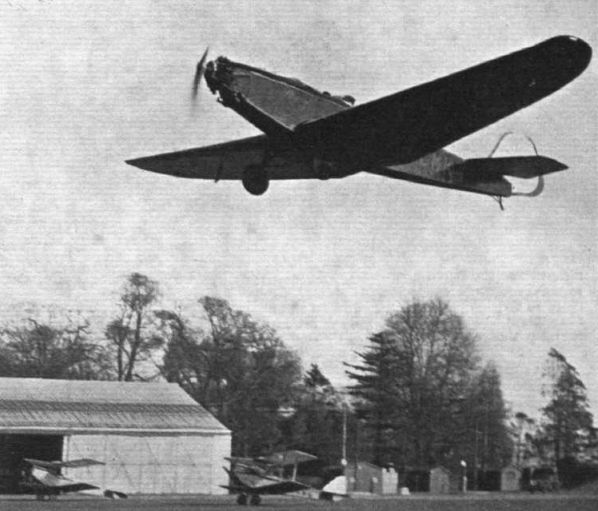 AT THE BRISTOL CLUB MEETING: Sir Alan Cobham, carrying passengers in his D.H. "Giant Moth" ("Jaguar"), has a "Hun on his tail" in the form of the little Klemm monoplane. The Sprat and the Whale: When the "Graf Zeppelin" visited Boblingen recently, the German Concessionnaires for Wakefield "Castrol" sent up a Klemm light 'plane bearing a Castrol advertisement, as shown in the accompanying photograph. GETTING THEM DOWN AT WAALHAVEN: Various styles of landing over the tape are shown. 1. Bos on Klemm-Salmson. 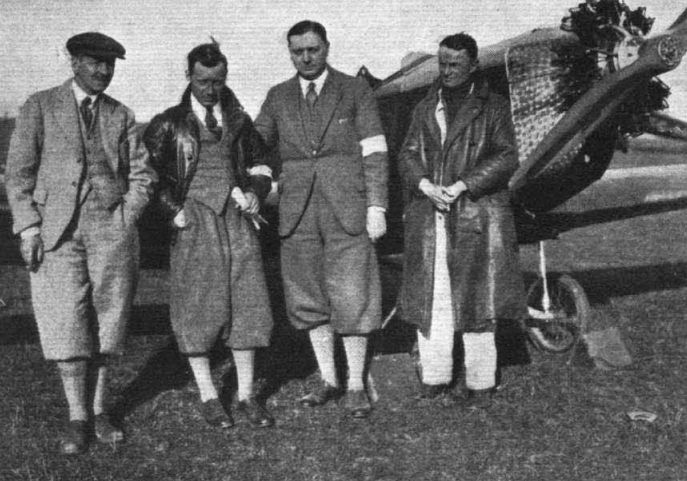 The finish of the East-West Australian Race at Mayland Aerodrome. A Klemm, which is the Service machine of the Lang Tractor Co., is just coming in. FOREIGN COMPETITORS: The Breda and Klemm at the flying meeting. 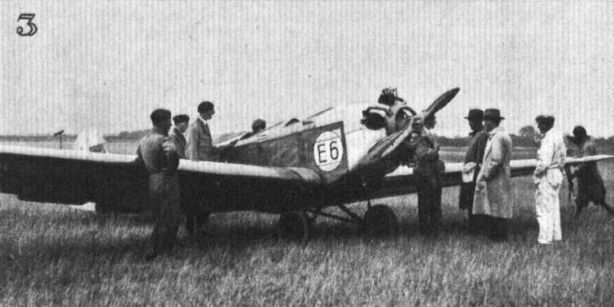 The Klemm-Salmson monoplane is exhibited on the stand of S. T. Lea, who holds the British rights for this machine. THE LOW-LIMIT: Mr. Edwardes, Klemm (Salmson), waiting for the flag. He was first man away and led for many miles en route to Cramlington. Mr. Reynolds is the timekeeper while Capt. Dancy, on his right, looks as if he was satisfied with the work he and Mr. Rowarth had done in handicapping the entries (and rightly so too!). SEEN AT HESTON: GERMAN MONOPLANE TAKING PART IN THE COMPETITION: 2, a Klemm with Salmson engine with Townend fitted Ring. A view showing the newly-designed, sturdy undercarriage. A CLEAN FRONT: Large wing area and low wing loading give this Pobjoy-engined British Klemm "Swallow" a spectacularly low landing speed. OVER HANWORTH: Mr. E. G. Hordern flying the Salmson-engined British Klemm "Swallow" in front of the club hangar at Hanworth. NEAR THE GROUND: Its excellent manoeuvrability enables the Klemm to be flown so that pictures may be obtained from the ground like this. 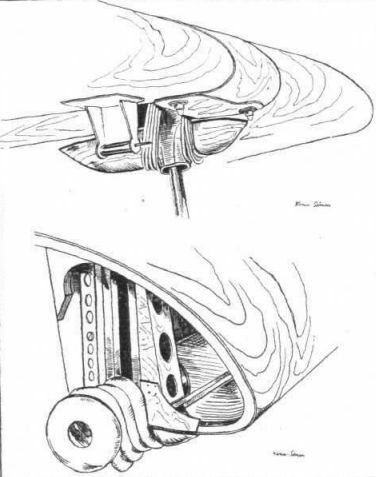 FOR EASY HANDLING: A good view which shows the lever for withdrawing the front wing joint pins and also the catch in the leading edge making wing folding a one-man job. 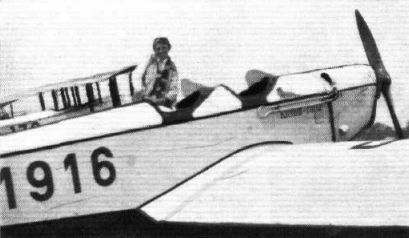 The Klemm L.25 W seaplane is a two-seater with 40 h.p. Salmson engine. This machine has taken off the water with three on board. The float undercarriage is interchangeable with the landplane unit. SEEN AT HESTON: GERMAN MONOPLANE TAKING PART IN THE COMPETITION: 3, An "unfaked" Klemm with Siemens engine. 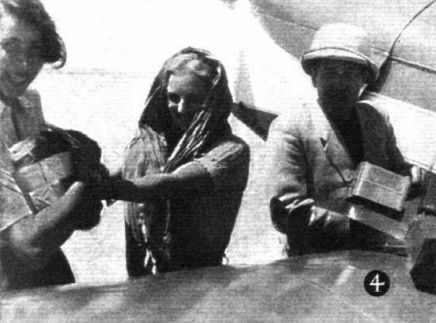 [L.28] A FAIR WINNER: Miss Liesel Bach, of Germany, who won the International Feminine Cup in her Klemm monoplane. 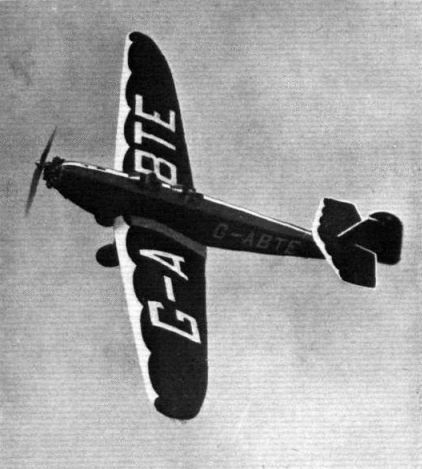 Though a British Klemm Swallow is seen here, the Civil Air Guard used more than 40 Pobjoy Cataract or Cirrus Minor-powered B.A. Swallows. The Klemm-Pobjoy in a tight turn around our photographer. The neat way in which the engine fits on the nose of the fuselage is well shown here. "QUICK OFF THE MARK": Mr. A. B. Gibbons using his Pobjoy engine to pull his "Klemm" off the ground in 49 ft. at Brooklands last Sunday. The exceptional take-off of the Klemm-Pobjoy is clearly shown in this photograph. The wheels are already off the ground although there are still several yards to the end of the tarmac. 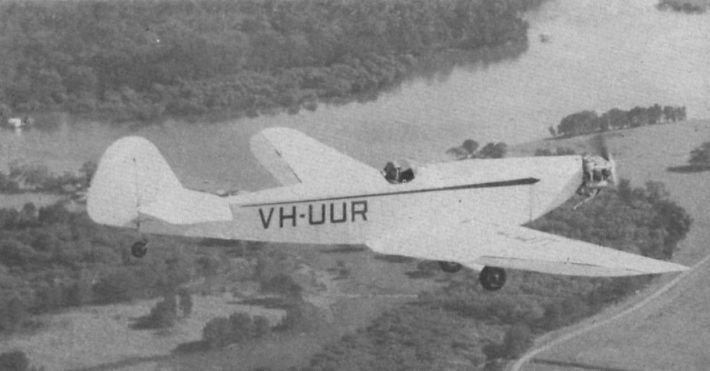 The prototype Hanworth-built B.K. Swallow, EI-ADS (c/n. 1, ex-G-ACMK), still flies at Weston, near Dublin. It is twenty-four years old and became Irish in June 1947. Now Pobjoy-powered, it first flew with a Salmson radial. Count Arco-Zinneberg and Capt. Bistritschan starting on the Austrian Rund-Flug in the former's Klemm (Pobjoy). Types of Machine in the King's Cup Race (3) British Klemm "Swallow," Pobjoy "Cataract" 80 h.p. engine. 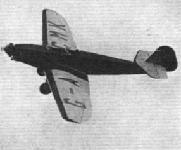 BRITISH KLEMM "SWALLOW" 80 h.p. Pobjoy "Cataract"
THE KLEMM: Mr.Rogers standing before a Cirrus-Klemm. 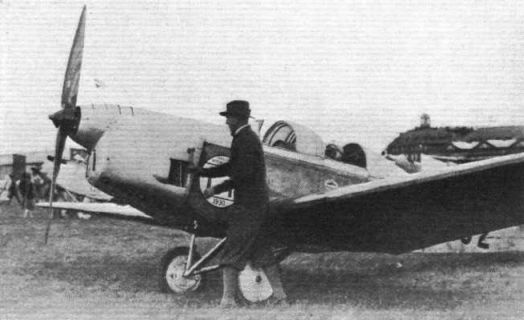 KLEMM TYPES: A Klemm with a Cirrus III. 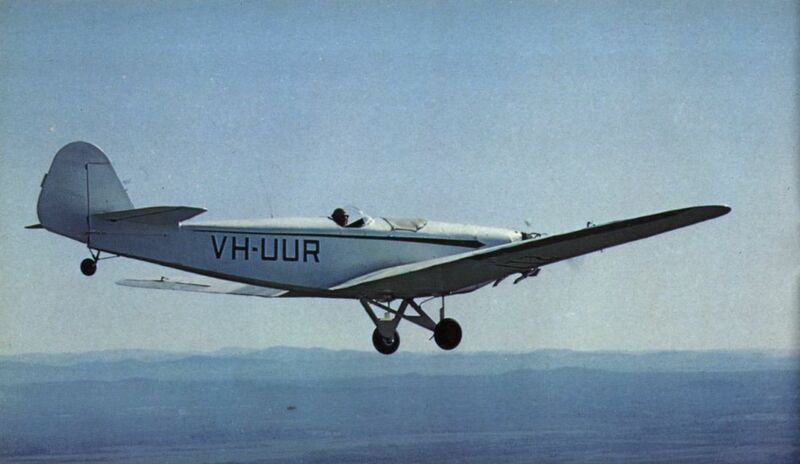 THE WINNER: The Klemm L.26 Va (Argus As 8) which Lieutenant Dinort flew to victory. MACHINES AT THE INTERNATIONAL AVIATION MEETING, ST. GERMAIN-EN-LAYE: Miss Liesel Bach (Germany) and her Klemm (100-h.p. inverted Argus). THE WINNER: Oskar Dinort and his passenger Freiherr von Houwald. 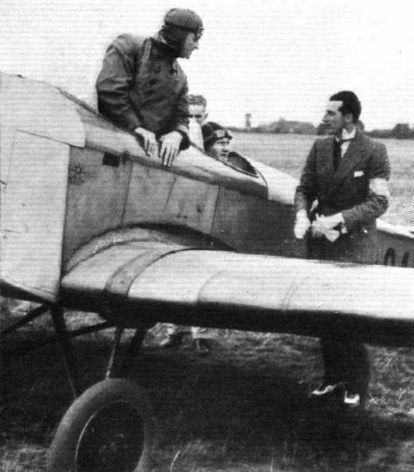 Herr Wegenast, President of the Dusseldorf Aero Club, talking to Mr. Nigel Norman after landing at Heston. His pilot is Herr Niehues. 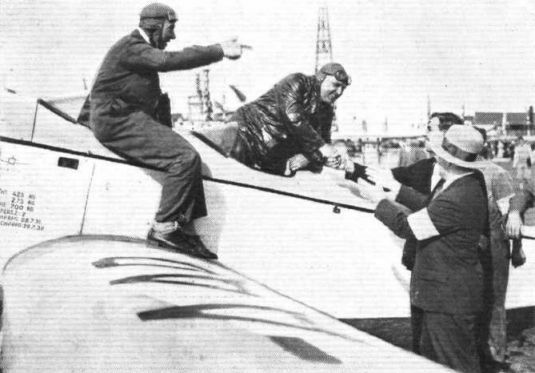 THIRD MAN HOME AGAIN: Adolph Kneip greeted on his arrival at Tempelhof upon his getting third place in the "Deutschlandflug." 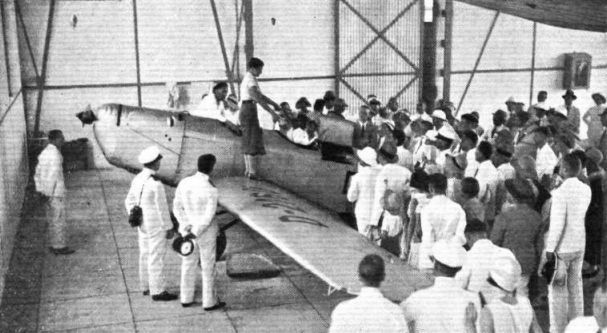 The German girl pilot addressing an interested group inside the nangar. Fraulein Beinhorn is now in Sydney, and we understand that she proposes to ship her machine to San Francisco, continuing her journey by air from that point to Pernambuco via Los Angeles, San Diego, Tucson, El Paso, Chihuahua, Mexico City, Guatemala, Nicaragua, Panama, Buenaventura, St. Lorenzo, Quito, Cuenta, Lima, Iquique, Valparaiso, Santiago, Mendoza, Rosario, Buenos Aires, Montevideo, Rio Grande do Sul, Porto Aleere, S. Paulo. Rio de Janeiro, San Salvador, Pernambuco. From that point she will return to Germany by boat. THE FOLDING AND "DOOR-WHEELING" TEST: Kneip's machine going through the "gate." FIRST IN THE TECHNICAL TESTS: Reinhold Poss (Klemm-Argus) secured the highest number of points in the technical tests. IN THE LANDING TEST: This year competitors did not have to land over an obstacle. SOME out-of-the-ordinary snapshots taken by a Swiss private owner, Dr. Werner Fusbahn, during a recent tour from Basle to Lake Chad in Central Africa, by way of the Sahara Desert. His machine was a Klemm Kl.25. (5) Ubiquitous "Mr. Shell" has supplies in the most unlikely places. (7) Picturesque lookers-on at refuelling operations. (4) Supplies en route from a party of friends travelling by car. 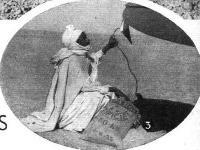 (2) His bed the hard ground - a desert guard for the Klemm. 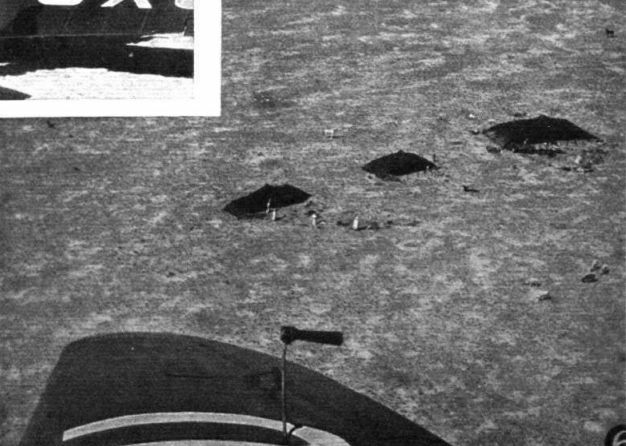 (6) Problem picture: The strange black mounds are the tents of wandering Beduins. IN HER NATIVE HOME: The Klemm Two-seater taken at Boblingen where Herr Klemm has his factory. The neat engine cowling of this model is made possible by the small overall dimensions of the Hirth motor, while it being inverted gives the pilot an excellent view. It has 4 cylinders and gives 80 h.p. 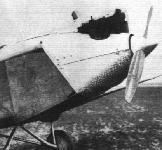 The Klemm L.25 Two-seat Light Monoplane (70/80 h.p. Hirth H.M.60R enigne). ENGINE-STARTING TEST: Propeller-swinging was not permitted. Wolf Hirth's Hirth engine being started. 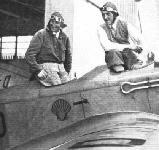 SECOND PRIZE: Wolf Hirth secured second place on the Klemm fitted with the engine designed by his brother Hellmuth Hirth, who is seen standing on the left. INSTALLED IN A KLEMM MONOPLANE: The Hirth engine makes a very fine power plant for this machine, and is very smooth and quiet in running. Note the accessibility when the one-piece cowl is opened. 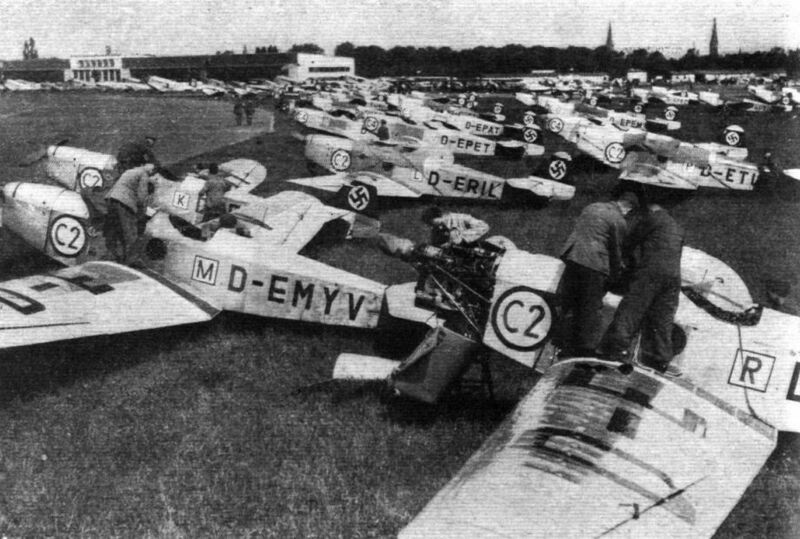 Some of the Competitors at Staaken Aerodrome before the Start. AUS DEUTSCHLAND: One of the five German machines landing at Lympne. Each machine brought two visitors. The Klemm L.25 Two-seat Light Seaplane (70/80 h.p. Hirth H.M.60R enigne). Oldest powered aircraft at the Show was Klemm Kl 25D OH-ILI "Adolf Aarno". BERLIN LOOKS SKYWARD. 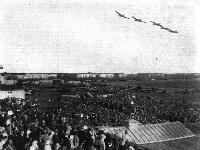 The annual "People's Flying Day" was celebrated at Tempelhof Airport last Sunday, and this time the open possession of an air force added to the spectacular nature of the event, which was combined with "Air Force Day," the anniversary of Richthofen's death. 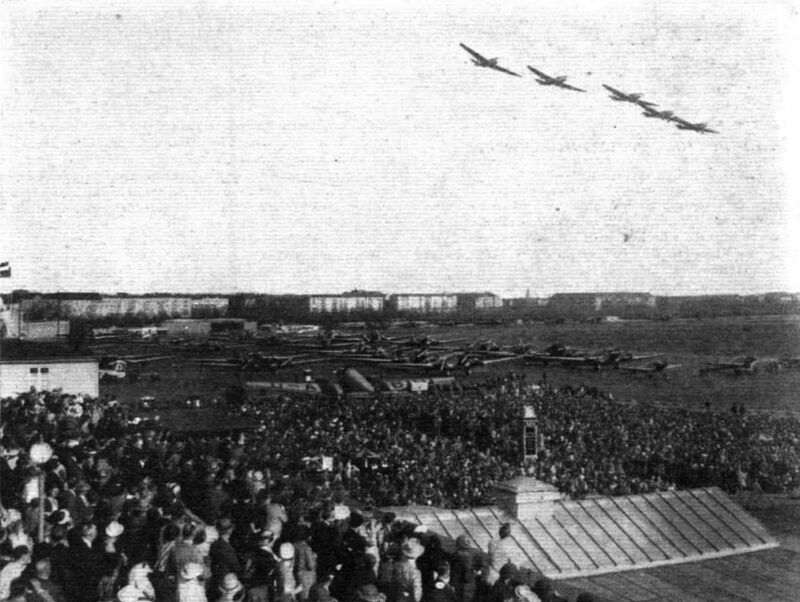 The formation seen in this photograph is a very non-aggressive one of Klemm monoplanes. THE COFFEE MILL: Starting the Argus engine of a Klemm. STYLE IN COUPE TOPS: One of the Klemms. The cabin roof of the Klemm telescopes, the panels being celluloid covered. 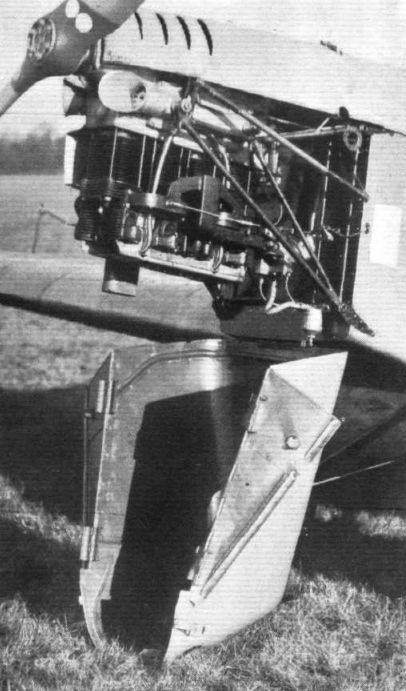 SOME "RUNDFLUG NOSES": 3, a Klemm with inverted Argus engine. The cockpit roof telescopes. VARIOUS STYLES OF WING FOLDING: These photographs from the International Touring Competition indicate how aircraft designers of various nationalities provide for reducing space required for garaging machines. 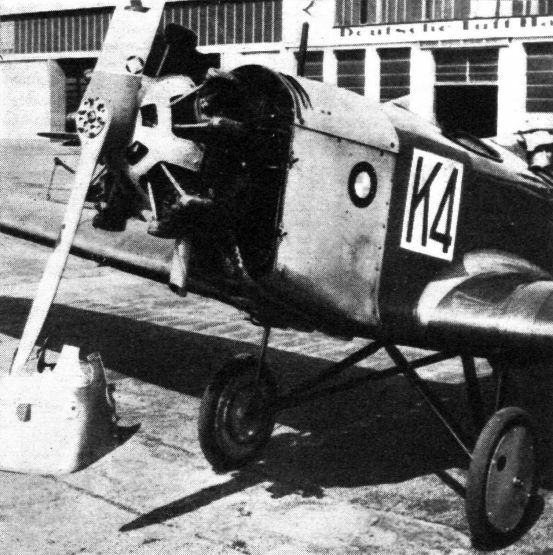 1. a Klemm has its wings dismantled and stacked on the side. Poss, on a Klemm-Argus, clearing the obstacle. 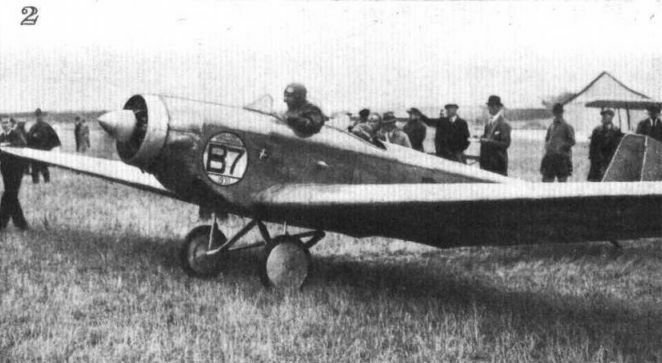 A SWISS COMPETITOR: This Klemm monoplane with inverted Argus engine has been entered and is being piloted by Herr Charles Kolp. Note that it has a coupe roof built over cockpits. Built in 1936, G-AEMW is a B.A. Swallow II (c/n. 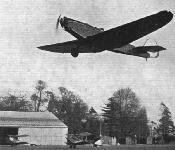 456) modified at White Waltham to have a tandem cockpit enclosure. Powered by a 90-h.p. 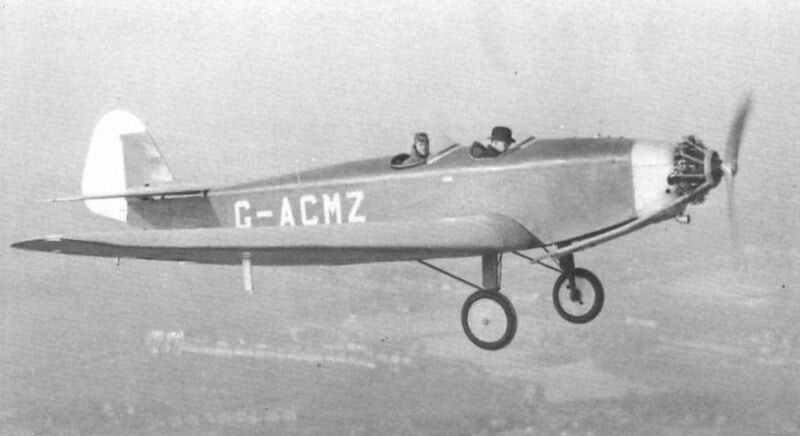 Cirrus Minor I, the Swallow is derived from the German Klemm L.25 of the late 1920s, of which G-AAHW (c/n. 152 of 1929) is the earliest example still on the British Register. Operated by the Swallow Group of the Popular Flying Association is the recently repainted tandem-seat B.A. Swallow II (G-AEMW) fitted with a special canopy. SAARLAND-REGISTERED Klemm VL.25a (SL-AAB) has beautiful finish, redesigned and enclosed cockpits and ex-L-4 Cub flat-four engine. The shock absorbers are housed in the wing of the Klemm-Salmson.